Cirque Mechanics - 42FT Promo Video from Baylin Artists Management on Vimeo. 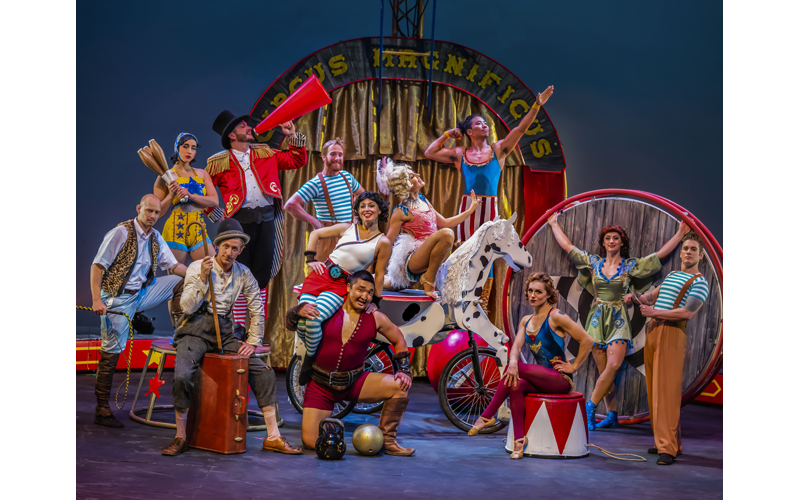 Cirque Mechanics, although inspired by modern circus, finds its roots in the mechanical and its heart in the stories of American ingenuity. The shows, rooted in realism, display a raw quality, rarely found in modern circus, that makes their message timeless and relevant. The stories are wrapped in circus acrobatics, mechanical wonders and a bit of clowning around. © Miller Center for the Arts. All rights reserved. Follow the Miller Center on Facebook and Twitter!